Around dusk, the Jemaa Al Fna, the medina’s main square, still goes through the same transformation: Juice vendors and the occasional snake charmer are replaced by a dizzying array of food stalls and circles of musicians. In 1998, taking a photo of one of those musical performances in the square meant interrupting it while one of the musicians demanded payment. Today, payment is demanded for cell phone videos. The biggest changes, though, had less to do with the place than how I was travelling. In 1998, my time in Marrakech was part of a six-month solo trip, a month of that in Morocco. What I later realised was that it could not be duplicated: A trip that came at just the right moment in my life, when I was unattached but old enough to know what I wanted — and needed — out of travel. I replaced my $10-a-night (Dh36.72) room at a hotel that no longer exists with the cheapest room I could find (140 euros a night, or about $162) at the lovely Riad Mena. 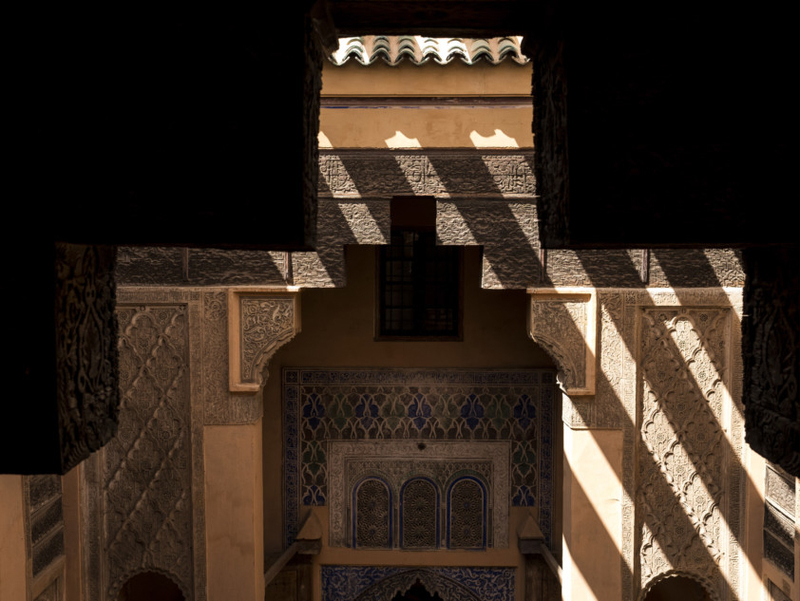 (Riads — the term refers to a traditional home built around a courtyard, but is now used for bed-and-breakfasts that are often filled with flora, fountains and hammams, and generally owned by expats — are now everywhere.) I not only had a cell phone, but was active on Instagram, Twitter and Facebook; 20 years ago, I didn’t see the photos from my analogue camera until I returned home. 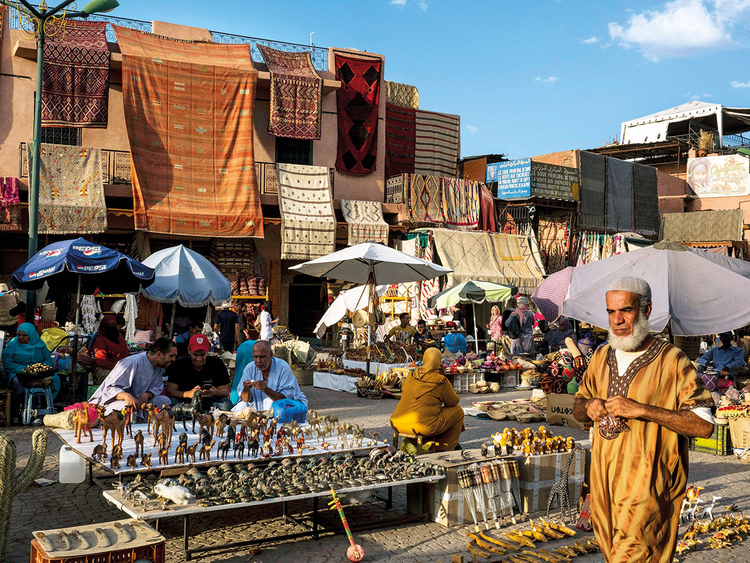 Since my first trip, Marrakech has become Morocco’s premier tourist city. For decades it has attracted travellers, although at a much smaller scale. “Everybody knows everybody else in Marrakech,” wrote the English author Peter Mayne in his 1953 memoir, A Year in Marrakesh. 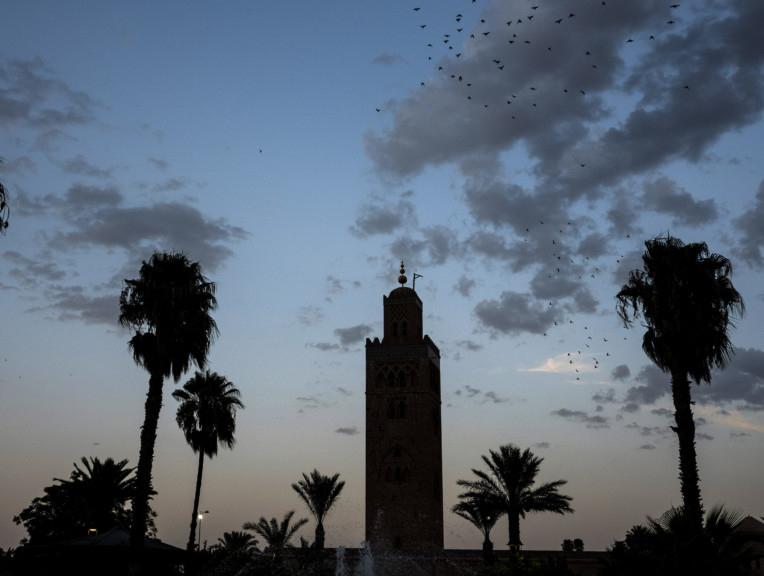 But unlike cosmopolitan Casablanca, or Tangier, which, being a short ferry ride away from Spain, had the chaotic transience of a border town, Marrakech has stayed both exciting and accessible for Western travellers. 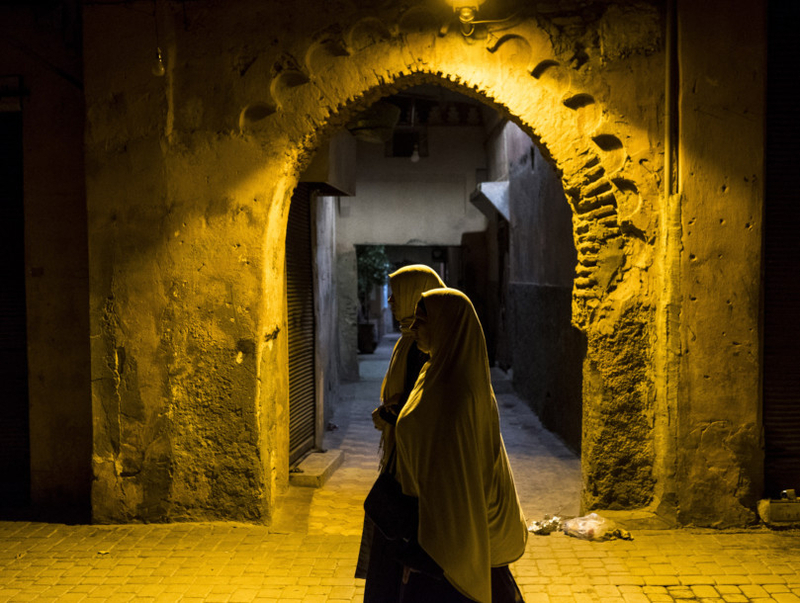 In recent years, the Moroccan government has poured money into modernising its infrastructure. It has also attracted hundreds of expats — French, English, Spanish, German, American — many of whom have invested in riads or restaurants. Travel media has embraced this trend: Almost every article I read before my return trip revolved around expats. Even by the house-of-mirrors standards of the medina, Dar Cherifa, a riad owned by Abdellatif Ait Ben Abdullah, had been difficult to find. Abdullah, my translator, and I, had gone down a side alley and then through another riad to find it. The space dates to the 16th century; Ait Ben Abdallah and his team renovated it in 2000 but had left more or less intact intricate, weathered carvings in the stone and wood that wrap around the second floor of the courtyard. At ground level, tables were scattered amid Berber rugs and a small pool covered in rose petals, and, on the walls, panelled, Japanese-style paintings by Veronique Rischard, a French artist. Scents of rosewater and orange blossom filled the space. Over tea and Moroccan pastries, I asked Ait Ben Abdullah, 56, who owns seven riads around the medina (and another in Fez), if he was the exception or the rule as a native riad owner. The exception, he said, estimating that 90 to 95 per cent are owned by foreigners. But that didn’t exactly bother him. Ait Ben Abdullah was born outside the city and moved to his aunt’s house in the medina at age seven. As a successful entrepreneur, he now wanted to give back, not just by renovating riads but by educating children in his hometown, where he runs cultural events that provide arts education. He employs about 120 people at his properties, and at Dar Cherifa, he hosts free readings, a restaurant and exhibitions. Ait Ben Abdullah is successful, but not a multinational star like the chef Meryem Cherkaoui. Cherkaoui, a stylish woman of 41 with dark, short-cropped hair, grew up in Sale, near the capital of Rabat. She now lives and works in Casablanca but consults with restaurants around the country, including Marrakech, and overseas. She has appeared on the French version of Top Chef and sells a line of culinary products, which emphasises Moroccan ingredients. On my first visit to Morocco, I was unimpressed by the food, which, thanks to my budget and lack of experimental vigour, was limited mostly to couscous and tagine. This time, I sought to remedy that. For breakfast, I ate harira, a spiced vegetable soup, and fried eggs (and, as with every meal, mint tea). Within the first year, Le 18 hosted about 20 events — and now presents exhibitions, talks, performances and screenings. It has also just put out its first magazine, Chergui (named after a warm wind from the Sahara) — “without anything, without money” from the government, she added. Indeed, although there are still major cultural events and venues in the city, this year’s version of one of the biggest, the Marrakech Biennale — founded in 2004 by Vanessa Branson, the sister of the billionaire Richard Branson — was cancelled because of a lack of funding. After my meeting with Hida, I headed back to the Jemaa Al Fna for a final dinner. I watched as its daily transformation began: juice vendors making way for sellers of snail soup and sheep’s head. The sun went down and the square swarmed with activity. It all felt surprisingly familiar.